There’s music, but, most important, this is The Boss’s story of his battle with his mind. “Bob Dylan is the father of my country. The world he described was all on view in my little town, and spread out over the television but it went uncommented on and silently tolerated. He asked the questions everyone else was too frightened to ask. He planted a flag, wrote the songs, sang the words that were essential to the times. He inspired me and gave me hope.” Bruce Springsteen writes in his new autobiography Born to Run. Dylan, of course, is the father of many countries, as the 2016 Nobel Prize acknowledged, though, they are mindscapes rather than chunks of land. And Springsteen has been his natural and deserved heir – his musical son. For the latter’s legions of fans, everything he says of Dylan is also true of him. He too wrote the songs and sang the words that were essential to the times. In 1975 Springsteen heralded the end of the American dream in his first mega-hit Born to Run: “In the day we sweat it out on the streets of a runaway American dream / At night we ride through the mansions of glory in suicide machines”. In 1980 he lamented the loss of American industry in The River: “Lately there ain’t been much work on account of the economy / Now all them things that seemed so important / Well, mister they vanished right into the air”. In 1984’s Born in the USA, he revealed the rot behind America’s glossy façade when he belted out, “Born down in a dead man’s town / The first kick I took was when I hit the ground / You end up like a dog that’s been beat too much / Till you spend half your life just covering up”. For most of our lives, Bruce Springsteen has written about the things that really matter to regular people – entanglements, family, dreams of advancement and dreams of escape too, as well as jobs, freedoms, communities and their corrosion – with a raw passion that leaves no room for pretence. “I’d been following and writing about America’s post-industrial trauma, the killing of our manufacturing presence and working class, for thirty-five years,” he concurs in this book. But not just America, he has also held up a mirror to our modern world and showed us the canker at its heart. In Streets of Philadelphia, he mourns the AIDS pandemic, prejudice and resulting isolation. In The Rising he depicts a world riven by extremism. But he sings of hope just as often, and the comfort to be found in companionship and common causes, “to say I’ll make your dreams come true would be wrong, but maybe, darling, I could help them along”. But he didn’t have a voice that had much “tonal beauty or finesse” as he himself admits, though it had power and stamina – “five sets a night, no problem. Three and a half full-on hours, can do.” So his songs, he felt, “would have to be the fireworks”. Storytelling would become his particular strength. The tales he told were painfully personal as well as universally true. Combined with a distinctive rasp and the lyrical, yet down-to-earth style in which he spun them, his arsenal was complete. And it was time. “I knew this was the music I should make now. It was my job. The country was at a critical juncture”. For eulogising US vets coming back from wars to find themselves forgotten by the establishment that had used them, Springsteen was press ganged into becoming President Ronald Reagan’s poster boy for patriotism in the 1980s. The latter may have proclaimed, “America’s future rests in the message of hope in the songs of Springsteen,” yet the rousing, anti-establishment Born in The USA was the farthest thing from the nationalistic self-congratulation Reagan was disseminating. Nor is Springsteen done with challenging the powers-that-be to do the right thing by the world and his country. “A Trump presidency makes me afraid,” he said recently, “racism, bigotry, intolerance – when you let those things out of the bottle, they don’t go back in that easily. If they go back at all.” It is evident that the world after 2016 needs people like Springsteen more than ever. More of those political commentators crossed with traveling troubadours; the Seegers, Dylans and Lennons – Springsteen’s many musical fathers, who reassure us that we are not alone, remind us of our responsibilities to our fellow humans, and rouse right-thinking people everywhere into carrying on the crusade against inequity. But in the end this book is not about politics or even music, it’s about fathers. Biological fathers, musical fathers, god the Father, father confessors, fatherhood and more, and that’s not surprising from a Roman Catholic boy who has, by his own admission, never really got it out of his system. Yet there is something else he struggles to get out of his system, something bequeathed to him by the most important of his fathers – his own – that makes this such a compelling read. And that is mental illness. This exploration of mental illness is as important to the times as the calling out of oppression and intolerance. According to the World Health Organisation, 450 million people suffer from mental disorders worldwide, while 1 in 4 will be affected by them at some point in their lives. It touches us all, if not personally, then through our close relationships. Bruce’s father Douglas discovered late in his life that he had schizophrenia, paranoia and depression – he had been dogged by moods, rages and insecurities throughout. Other members of Springsteen’s family had mental health problems too, among them his obsessive paternal grandmother, who raised him. Bruce himself recognised “all the madness in his soul” (Born to Run). He began treating it in his thirties after a harrowing trip into the Texas desert left him lower than he’d ever been. As low as he knew his father could sink on the nights he sat in a stupor at their kitchen table, “lording sullenly over the kitchen”. Or on those occasions when Douglas lashed out at his son with the wrath of a “monarch dethroned by his own firstborn”. 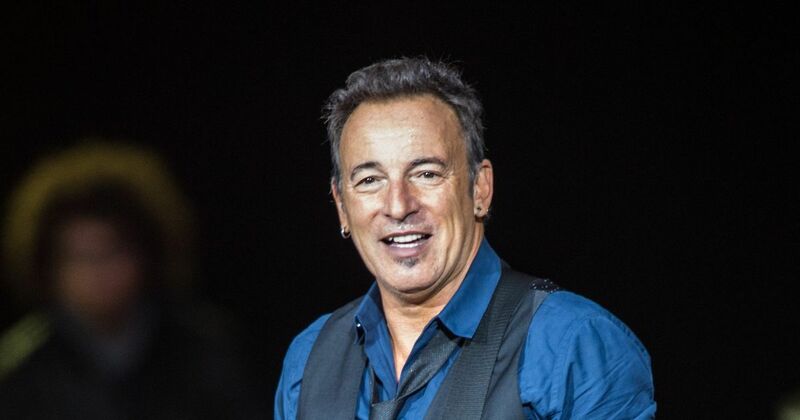 It led to Bruce developing nervous tics while still in school where he was christened “Blinky”, but it was also behind the almost superhuman nervous energy he struts on stage to this day. “My ability to power through three-hour-plus shows for forty years is itself a display of my manic insecurity that I’d never be enough”. In this honest look-back, he openly discusses his demons for the first time, and what they drove him to do. His troubles weren’t over when he got out from under his family’s thumb, but he learned to keep them in check, and subsumed in his dedication to his art. Springsteen talks candidly about his habitual aversion to commit to anything but his work. And while the making of great music is very serious business for him, he is also aware that he uses it as a diversion. He knows he keeps himself incandescently busy to stop from sinking to the same depths as his dad. But it does catch up with him. “Shortly after my sixtieth I slipped into a depression like I hadn’t experienced since that dusty night in Texas thirty years earlier. It lasted for a year and a half and devastated me. During these periods, I can be cruel; I run, I dissemble, I dodge, I weave, I disappear, I return, I rarely apologise.” He writes about how deceptive depression can be even to the sufferer and the ravages it leaves behind. “This thing I have studied and fought against for the better part of sixty-five years, it comes in darkness or in broad daylight, each time wearing a subtly different mask. Then once again it takes up deep residence in my mind, heart and soul”. Most of all, he doesn’t want to pay it forward like his father. “If I had one wish in this godforsaken world, kids / It’d be that your mistakes will be your own / Your sins will be your own (Long Time Comin’)”. Springsteen finds strength in the love he shares with his second wife, the life he’s built with his kids and the fences he mended with his father before his death. 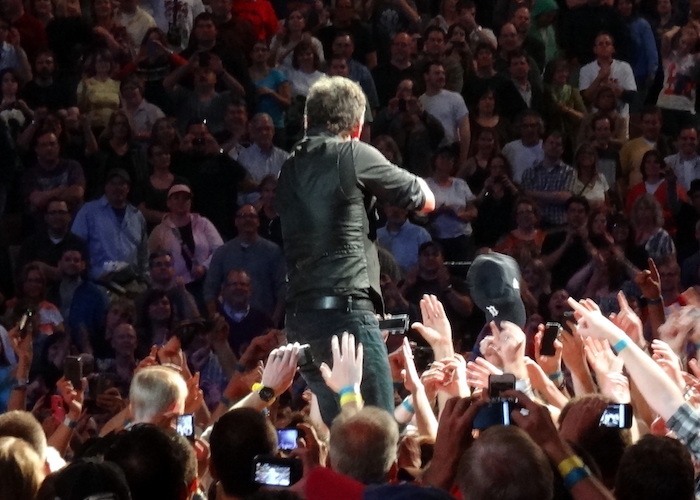 But it is when he is at his most vulnerable that Springsteen does us a service almost as great as the music he makes. Writing in a style so close to his lyrics – poetic, rugged, occasionally even unpolished – that there can be no doubt about authenticity, he lays it all bare without ever losing his dignity. And in doing so, he makes his account of a hugely successful but troubled life a relatable and inspiring story for our times. 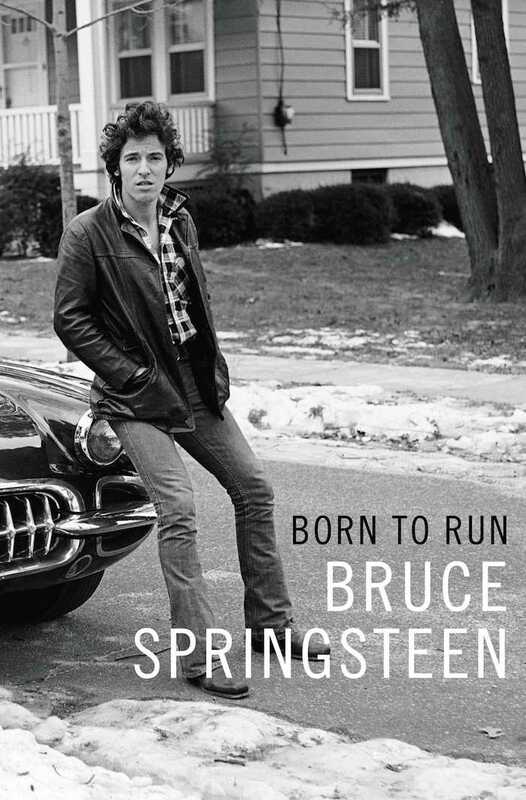 Born to Run, Bruce Springsteen, Simon & Schuster.